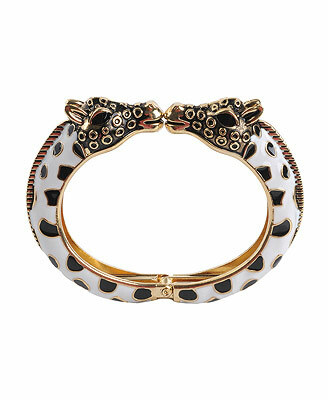 Kenneth Jay Lane's giraffe bangle retails for $115 at Macys. Forever 21 has a similar bracelet which retails for a much more budget friendly $7.80. Click here if you're interested in purchasing. Super cute! Love this bracelet! I didn't realize this bracelet was an inspired piece, but I shouldn't be surprised at F21. I just bought that a few minutes ago.